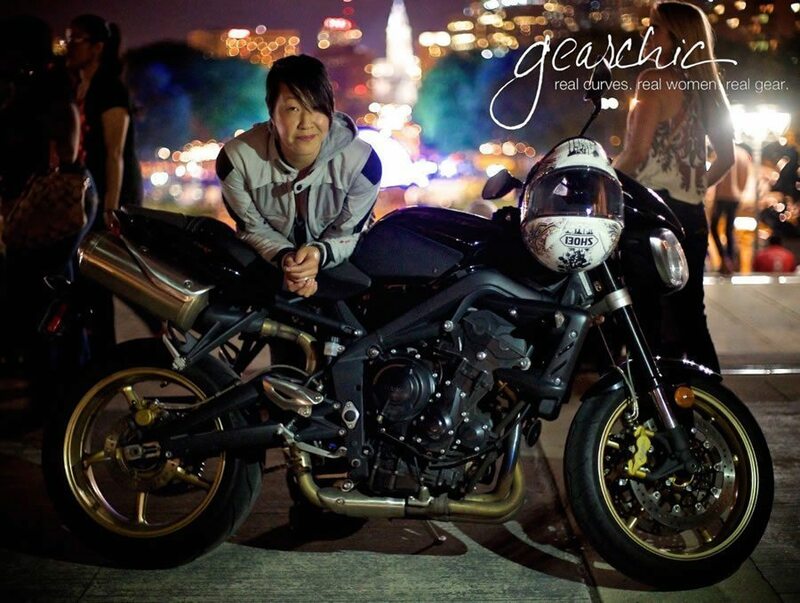 In November 2013 Joanne Gearchic Donn was featured as YouMotorcycle’s Woman of the Month. She had demonstrated a passion of motorcycling as lifestyle. Joanne had worked in the motorcycle industry for years including attending conventions such as EICMA in Milan, Italy. 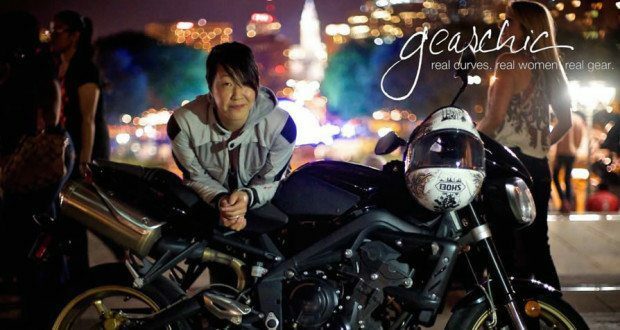 She was running her own website, GearChic.com, as well as co-host a new podcast series about motorcycles and motorcycling, called Moterrific. Joanne shares her knowledge and motivating attitude with the world, and is one of those people who makes motorcycling a lot less scary. Two years after our last sit down, we got to asking GearChic about just where she was in life now. My husband, my dog and my motorcycle. 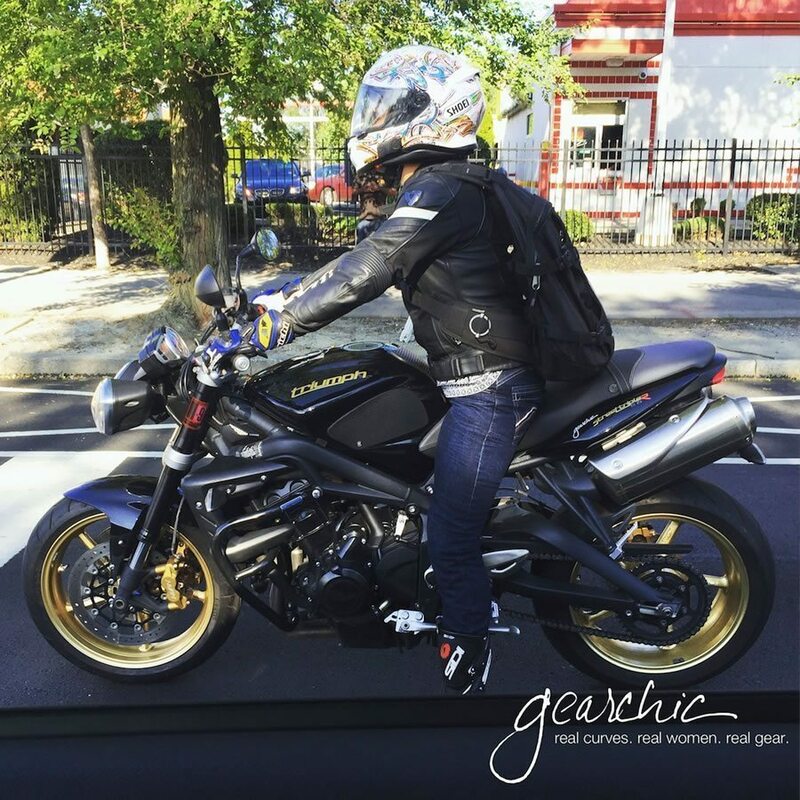 YouMotorcycle: You’ve been in Philadelphia for two years now. How’s that been? Joanne Donn: I was given an offer I couldn’t refuse, which was to work at Revzilla.com in their Philadelphia Gear Boutique. Given the location was in Philly, I had to relocate. It’s the only place I could see myself working after I lost my last job in San Francisco. YM: It seems like the role really fits you. JD: Revzilla believes in providing its customers the most amazing customer service, and that’s at the core of what I do when it comes to being GearChic. It makes me SO happy when women come in, try on a few outfits and leave happy that they could look and feel great while being protected at the same time. I always struggle with the fact that I left all my friends and family to work my ‘dream job’, but in the end I’m happy I did. YM: How settled in are you feeling? JD: Very settled. When we moved to Philly we were able to buy our dream motorcycles! I bought Goldie, aka my 2012 Triumph Street Triple R and my husband picked up a 2006 Triumph Speed Triple. I feel like my motorcycle is always waiting for me when I leave. 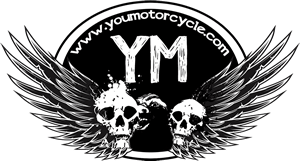 YM: Are you enjoying the motorcycle scene in Philly? How different is the #bikelife over there? JD: It’s definitely different. Very different. The riders have a very different mindset (no helmet laws in Pennsylvania), the roads are different (too straight), and just a different culture overall than what we’re used to. It makes sense, Pennsylvania is nothing like California. I think the most difficult part about being here from a riding perspective is not having access to the amazing roads less than an hour away from my house. I used to live at the foot of the Golden Gate Bridge, halfway between some of the best riding roads in the US. It’s taken some getting used to. JD: Scooter fan. I started riding scooters, so I absolutely love them and see how important they are when you’re thinking about getting into motorcycles. I owe my 2wheel riding career to my first 50cc scooter (2003). YM: I started on a 50cc scooter too! I have a painting of scooters in my hallway as a reminder of where and how it all started for me. Next question: What’s the worst motorcycle customer? JD: I would have to say that what makes my job more difficult is when a rider hasn’t thought about what they may need. But you can at least help me out with having the answers to a few things, for example what kind of motorcycle you have/want and what kind of weather you want your gear to work in. JD: An open mind. Unfortunately shopping for motorcycle gear is nothing like going to the mall. Instead of a dozen stores for you to choose from to try on protective jackets, you have one. The one you just walked into. How do you expect to find the perfect riding jacket if you’ll only try on the ones that are brown? YM: Something else you want to say? JD: Yes, a warning: Everything is going to feel too tight, but I’m here to help you make the best decision possible to find gear that fits you right and still makes you feel comfortable. Remember that the way your gear fits has a direct connection to how well your gear is going to fit, protect and work while on your motorcycle. Keep that open mind for me, and let me show you how and why this works. YM: What do you like best about your work? JD: Talking about motorcycles! Often, I get to speak with brand new riders to are completely new to the world of gear and riding overall. Many of them haven’t even chosen a motorcycle yet. Also, as a very short rider (5’2″) I absolutely love tearing down stereotypes about what short people are “supposed to ride” based on their height. JD: Ok I also really love helping female riders get geared up! It’s not easy for many women to shop in general, and shopping for gear just adds to the frustration. I love it when someone smiles and says “It Fits!”. I always feel better knowing someone else is geared up and ready to ride when they leave the store. YM: How’s the Moterrific podcast goin’? JD: We’re on our 78th episode! I love chatting with my badass cohost, Cristi Farrell aka @advgoddess. We get to ramble on about motorcycles, what could be better? YM: Did you expect it to be so successful? JD: No, we were definitely trying to just have fun, and start something no one else had. It’s great to have a friendship with someone who’s as passionate about riding as I am. YM: Anyone you want to say hi to? JD: I have to give a shout out to the Sisters Centennial Motorcycle Ride. This ride commemorates the 100th anniversary of the Van Buren Sisters who decided to ride across country together on a pair of Indian Motorcycles. This was during a time when women weren’t supposed to wear pants, let alone ride motorcycles! What a great way to honor these two than closely following the route they took across the country on your motorcycle? YM: Where can readers find you? 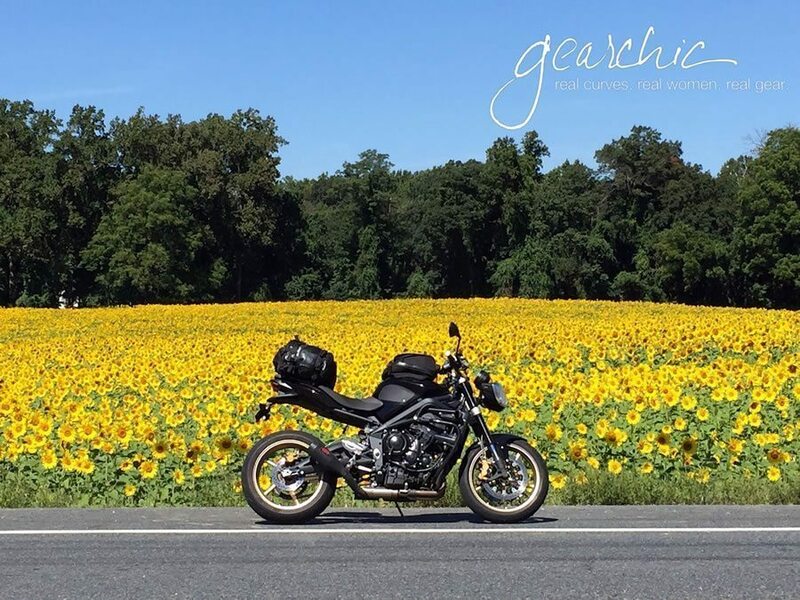 JD: They can find me at GearChic.com, ranting and raving along the way about motorcycles, women riding motorcycles, motorcycle gear and more. I want anyone to contact me anytime if they need help getting fitted or sized, or just need help figuring out what to buy / wear while riding their motorcycles. This story is part of series of 29 images or articles in 29 days to celebrate the 2016 leap year this February. Click here to see all #29in29 stories and images. Have a picture or a story you want to share? Contact us. 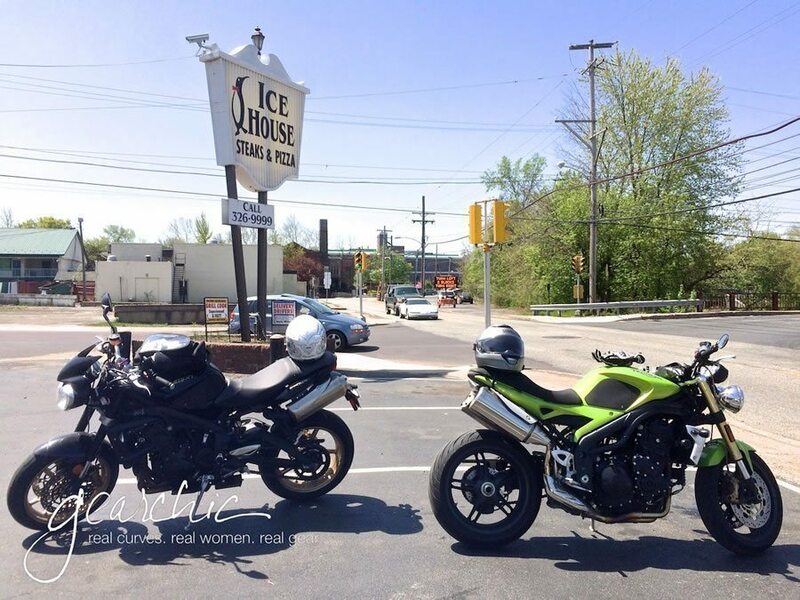 We’re passionate about getting more women riding motorcycles, so we want to hear why you’re riding, and how you got started. Motorcycling is a small community, let’s make riding more accessible. 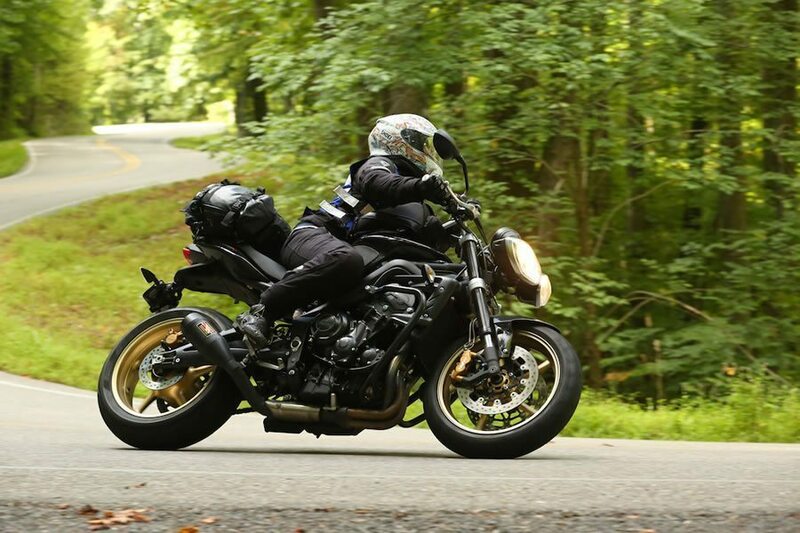 Click here to send us your story, and be sure to check out our previous Female Motorcyclists of the Month. Previous: Here We Go Again! 29 Pics in 29 Days!